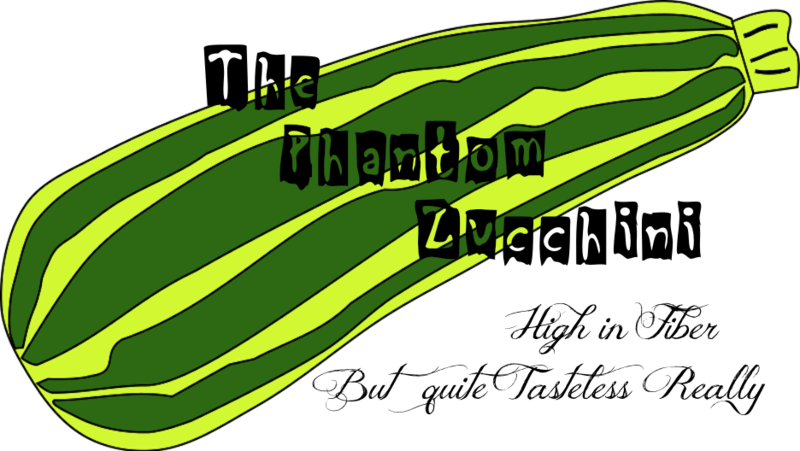 The Phantom Zucchini: Oh, now where ARE my manners? Oh, now where ARE my manners? I'd like to take this moment to welcome Susan, Logical Libby, and Terry on our secret kind of spur of the moment vacation destination! I'm taking this moment, mainly because it is the first moment I've actually had an internet connection (aside from my Blackberry.) Where we are things take longer to get repaired since there is only one Shaman and he's a pretty busy guy. Anyway, I'm sure you all are enjoying the place. Even though I'm up early because I won't return to East Coast Time until the morning we are to leave because on that morning I absolutely have to get up in order to drive, take a ferry and then catch a plane. Yeah, I'll be all about sleeping then. But right now, I'm awake and the sun is coming up and I can hear and see the ocean from my bed. So when I say I think you're enjoying your time here, I say it with the most extreme confidence someone like me can muster up at any given time. And Susan, Terry and Libby - I'm sorry, I know I'm being a terrible hostess letting you wake up without even a drop of coffee, but Coffee Boy is still asleep. But for the love of Blackberry, stick around. Lot's of good stuff documented today.